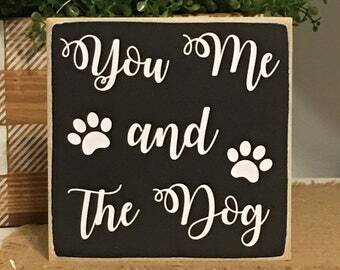 Announcement Daisy Patch Primitives, handcrafted signs, primitive signs, rustic signs, wood signs, printed burlap signs, printed canvas signs, printed canvas pillows and burlap pillows....always adding new items, please stop by often! SAVE 10% ~ Use coupon code "SAVE10". No minimum purchase required! Purchase 5 or more items receive 15% off...use coupon code "FIVEORMORE". I also combine shipping if you order more than one sign, to save you money! PLEASE NOTE: All signs are made upon receipt of order ~ Please allow 1-2 weeks for your order to be completed. If I have the sign or pillow already made your item will be mailed within 1-3 business days. I mail all packages as "Priority"...delivery will take an extra 3 days through the postal service. Business days are MONDAY-FRIDAY. The weekends and holidays are spent with my family. Any convo or orders received during the weekend will be processed on Mondays. I am usually very busy and will not contact you right after your purchase, please know that I have received your order and I will contact you when I have your order ready to ship or if I have any questions regarding your order. If you have any questions, please feel free to contact me. Please always check shop announcements for updates. A Little Information About My Signs! I offer a wonderful selection of handmade wood primitive rustic style signs for your home. My signs are made to look primitive...old and time worn. Every sign comes ready to hang with an attached wire hanger and I also paint the back of every sign black for a nice finished look. My signs are handmade upon receipt of order and each one will be unique. Please note: Signs are hand painted...no vinyl is used. Our signs are made from birch and sometimes maple, depending upon which wood is available. Both types of wood are a very sturdy and will not warp. 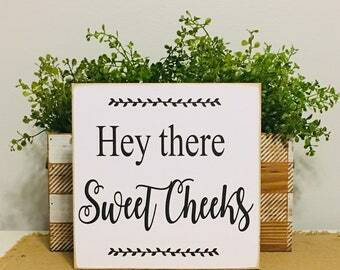 Daisy Patch Primitives, handcrafted signs, primitive signs, rustic signs, wood signs, printed burlap signs, printed canvas signs, printed canvas pillows and burlap pillows....always adding new items, please stop by often! Great sign! Cute prim design and great paint colors. Well packaged and fast shipping. I'm glad I found this shop, I'll be back for more...Thank you! Recently added this adorable Americana wreath to my Etsy shop. God Bless America! Mom & grandma signs available for Mother's Day! Daisy Patch Primitives is located in the beautiful mountains of West Virginia! We offer primitive, rustic style signs which are all handmade by me and my husband. He does the cutting and I do the painting. Together we make a pretty good team, which is a blessing! We make all of our signs out of birch wood which is a high quality wood and very smooth. It also does not bow which is very important when making signs. I also finish the back of my signs with a black finish for a nice completed look. Each sign is distressed and lightly stained for a wonderful time worn look. Our signs come to you ready to hang with attached wire hangers. Each sign is made with great detail and each sign is unique. Thank you so much for stopping by and please feel free to contact me if you have any questions. I have been crafting for many years. I work from my home and love what I do. I offer many different signs, all hand painted by me. Please take a look and feel free to contact me if you have any questions. Thank You!